How can you be a good supporter? Being supportive of organizations like MDA and Fishing for MD is a very good thing, but there are ways that you can put your best foot forward, so to speak. All donations and help is appreciated, but sometimes people can go about supporting charities in a way that isn’t as helpful as it could be. 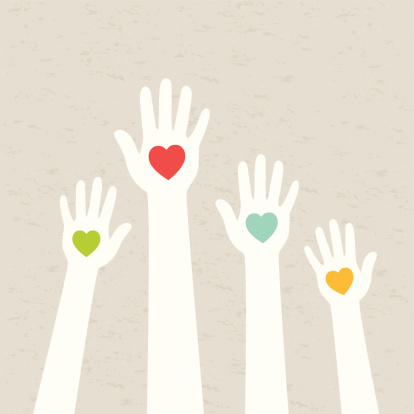 Today we’re going to be talking about how you can make the most of your charitable support. Ready to dive in? Let’s do it! Don’t put on a show. Make a commitment. Rather than making a large, showy gesture, you could make a serious commitment to helping fund the research that will cure MD one day. For many people living with MD, this is a lifelong struggle. It’s a lifelong journey. They can’t choose to simply stop paying attention to it. You, on the other hand, can help in their journey by joining them in the fight. A consistent and committed line of help is an offering that you can make to aid in their journeys and it really does make a difference. A onetime donation is a good thing, but a lifelong commitment is truly beautiful. Make the cause the focus. Make the people who are struggling with MD the focus. Never make your donation about yourself. When you make your contributions about yourself, you’re taking away from the work of those who are desperately seeking a better life for people with MD. Their struggles and their stories are the focus of this work. Never forget that and you will be a very good supporter for MD. MD, people living with MD, and the organizations that support them should always be your focus when contributing. Join Fishing for MD in our fight to find a cure for Muscular Dystrophy! We compete in offshore fishing tournaments to raise money for the Muscular Dystrophy Association and we work with like-minded corporate sponsors to help us reach our goals. Like us on Facebook to stay up to date on upcoming events, team member updates, and corporate sponsors. And follow us on Twitter and Google+ too to help us spread awareness about muscle disease. Interested in becoming a corporate sponsor? Please contact us to learn more about how you can reach the 60 million people that are involved in the sport fishing community while supporting a great cause.